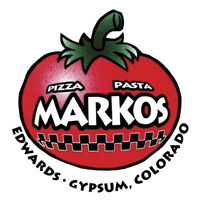 A popular locals' hangout, kids love Marko's! If the kids can't sit still for a family meal, turn them loose in the the arcade game room! It will keep them entertained and let you enjoy a great evening out. Make-Your-Own Pizzas is a fun, interactive activity that's also a big hit for busy little hands. Large groups welcome. Also a great place for birthday parties! Kid-approved foood includes awesome pizza and calzones, the best chicken wings ever and Tiramisu Brownie Delight. Gluten-Free options available.